Gulfstream Park Oaks (Grade II) winner Champagne Anyone along with Fair Grounds Oaks (GII) victor Street Band highlighted a chilly Monday morning training session at Churchill Downs as they began to ramp up their preparations for the $1.5 million Longines Kentucky Oaks (GI) on May 3. Trained by Landeros' father-in-law Ian Wilkes, Champagne Anyone is stabled in Barn 26. 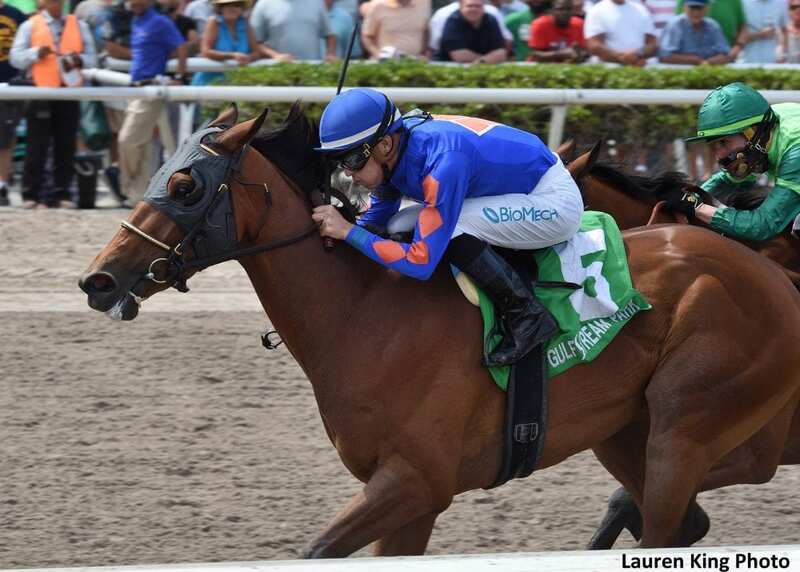 This entry was posted in Racing and tagged champagne anyone, chris landeros, churchill downs, corey york, fair grounds oaks, Gulfstream Park Oaks, Horse Racing, Ian Wilkes, kentucky oaks, larry jones, sophie doyle, street band by Press Release. Bookmark the permalink.